Thunder Bay Press, c2002, 1st Edition, 128 pages. NEAR MINT Condition Hardcover with an EXCELLENT to NEAR MINT Condition Dust Jacket. Only the slightest dj wear, otherwise this book basically looks LIKE NEW! Pages & Binding are NICE & TIGHT! Overwhelmingly outnumbered, the American Defenders of the Alamo held out during a siege lasting 13 days. Refusing to surrender, they perished to a man in a final bloody battle. With such heroism, those defenders - including Crockett, Bowie, and Travis - have become inspirational legends, remembered the world over. This is their dramatic story, illustrated as never before, with many RARE IMAGES!! Although The Alamo fell in the early morning of March 6, 1836, the death of the Alamo defenders has come to symbolize courage and sacrifice for the cause of liberty. 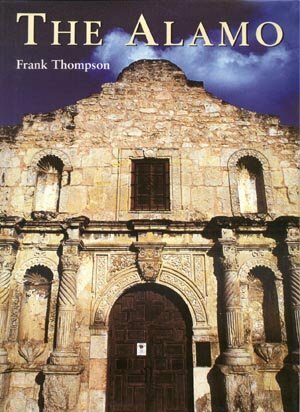 The memories of James Bowie, Davy Crockett, and William B. Travis are as powerful today as when the Texan Army routed Santa Anna to the cry "Remember the Alamo!" This book is more than a tribute to those who fell defending the mission. It is a thoroughly researched, vividly illustrated, objective description of the circumstances building up to and leading from that stand. By using contemporary writings, this history describes the political and military organizations of both sides, the weapons and equipment available to them, and the enduringly famous personalities involved, creating a vivid picture of this dramatic battle and the period in which it was fought. This book would make an EXCELLENT GIFT or addition to your collection! Buyer pays $7.10 Shipping in Continental U.S. **Payment must be received within 10 days of the end of the auction, unless other arrangements are made. Checks held till clear. Money Orders & Paypal Payments shipped on receipt. Buyer Must Request Insurance at Additional Expense. IL residents Must add 7.25% sales tax. Please EMAIL me any questions you may have before bidding. If you are looking for another book, just EMAIL me�Thanks! Happy Bidding! Good Luck! Check out our other GREAT Books and SAVE $$$ on shipping!